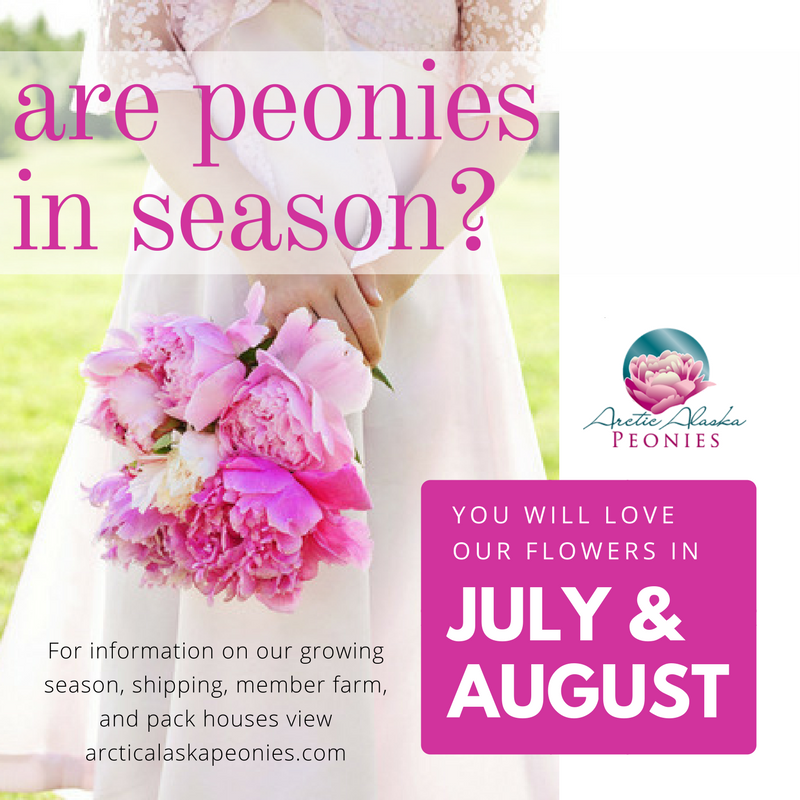 Arctic Alaska Peonies is a Cooperative of peony growers and pack houses in the heart of Alaska. Our family farms are spread across the rich Tanana and Yukon River Valleys and the surrounding uplands that straddle the Arctic Circle. We ship in July, August and sometimes early September! Elle Decor states, "the start of summer signals the end of peony season..." they must not know our season has just begun! We have vibrant, huge peonies for your July and August events. Your flowers are picked in bud stage to ensure they are in bloom at their destination. 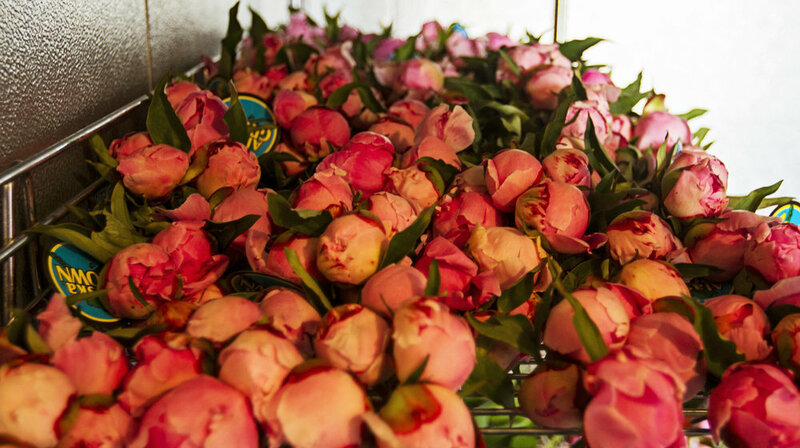 We pack and ship overnight to brides, florists, wholesalers and retailers. We ship Next Day Air so products shipped from Fairbanks by 11:00 AM AKST arrive at US destinations by noon local time the following day. Products shipped to Canada will arrive by 6:00 PM local time the following day. We ship Monday through Thursday and require 24 hours notice for all orders. You receive tracking information for your shipment prior to shipping via email. If you notice irregularities, please contact us immediately. We will also be following your shipment as it travels to your destination to assure that your flowers arrive on time. Sorting stems in the packhouse.